I make no apology for writing another post on agility. I think it's one of the most fundamental (and often unacknowledged) shifts that businesses need to make in order to be fit for purpose in the world in which we find ourselves. We no longer need to follow the model of creating a perfectly crafted plan, spending a lot of time executing that plan before we ship it, and only then finding out whether it is successful or not. But the truth is that it's no good adopting more adaptive approaches to marketing, more test and learn, more prototyping, more lighting lots of fires, if the processes for how we pay for all that agility are still locked in the old linear, industrial, one-way thinking. 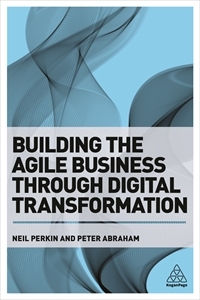 So, with the pace of change and level of disruption that many organisations face, with the opportunity that they have to connect and relate with their customers in a wholly different way, my question is not only about whether the way in which we work and plan is fit for purpose, but the way in which we budget as well. If agile is about responsiveness, not velocity (which I believe it is) budgets that are not responsive will not work. If the nuts and bolts stuff like this doesn't change, will anything else? Let's face it, the process of budget setting in most organisations is a painful, laborious and lengthy top-down, bottom-up process that can take months to complete. The process never gets questioned because it is usually deeply ingrained in corporate ritual. By the time it has been signed off, it is often out of date and irrelevant. Once it has been agreed, it is etched in granite like a tombstone to obsolete assumptions. It becomes 'The Plan'. Deviate from 'The Plan' and enter a world of obstruction, attrition, and justification. Once agreed, 'The Plan' is sliced and diced into disparate hierarchies and divisions. Budget equates to departmental autonomy, power and self-determination. So it is protected. Like many things, budgets become siloed and inflexible. The trouble with this is that budgets within organisations become both an objective and a measure of performance. So if your budget is no longer relevant, your key objective, your measures of success, and likely your basis for incentive are already flawed. And what of innovation and creativity? The one quality that CEOs value as "the most important leadership competency of the future"? Instead of being baked in to budgets so that it becomes an inherent organisational approach rather than just an activity, an expectation rather than an exception, money for innovation is departmentalised, or ring-fenced only to get swallowed when changing circumstance or out-of-date assumption dictate a short-term need. Five years ago, McKinsey suggested that it was about time that a requirement to innovate was built in to the budgeting process. Specifically that 80% of budgets should be put into proven vehicles, and the remaining 20% into "well structured experiments" or measurable innovation. It was, and still is, an interesting thought. The traditional view would see this as baking in risk. I believe that the opposite is true. I believe it mitigates risk. Significant, long-term, business-threatening risk. Combine that with a collaborative culture that supports shared learning. Combine that with visible performance metrics around an end-to-end customer journey that make informed decision-making easier for everyone. Combine that with iterative planning and budgeting cycles that set an expectation around adaptability rather than inflexibility. If you believe that regular adaptive budgeting will simply tie staff up in inefficient and time consuming work practices, I'd suggest that you are guilty of applying existing assumptions on a practice and process that is in dire need of change. Will a budget that has been built in three days be any less accurate than a budget built over three months? I doubt it. I've known organisations to be perfectly comfortable allowing executives to spend considerable time in constructing budgets from the bottom up, only for them to be ignored because the powers that be have 'a number' to hit. I'll go further. Prompted by an excellent sideways look at Cognitive Surplus and Knowledge Management by JP Rangaswami, I'd suggest that there is considerable cognitive surplus built in to just such organisational ritual and process (how much time do you spend in meetings that you really don't need to be a part of?). Surplus that undoubtedly can be better applied in facilitating better knowledge flow, sharing of ideas, and innovation. JP notes that "the tools are there. The motivation is there. But before it can happen, people have to be willing to acknowledge the existence of a time surplus at work". Before it's too late, do your business and your people a favour - give them the tools, give them the permission, and set them free.